Here’s a riddle for you: when is a photo booth not a photo booth? Answer: when it’s also a mirror! The photo booths of 2019 are nothing like the photo booths of yesteryear. With Open Air booths, Digital booths, and the classic photo booth you know and love, event hosts now have multiple options when deciding which type of photo booth to offer their guests. But one of the newest ones on the scene is also the coolest. Meet the mirror photo booth. This ain’t your momma’s photo booth. 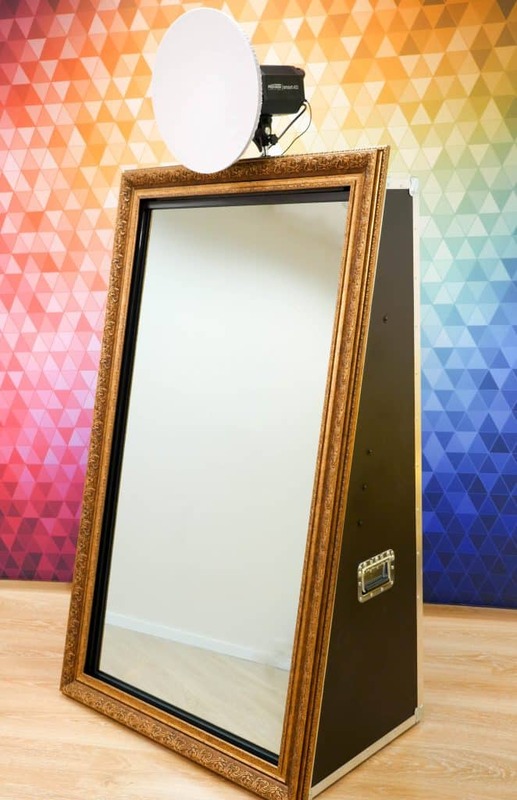 The mirror photo booth is practically indistinguishable from a full-length, freestanding, gold-framed mirror when it’s set up. But this mirror has a secret. Like something out of a fantasy novel, the mirror comes to life with graphics, prompts, and more to guide you through the process of taking the ultimate selfie. That’s right…the mirror is also an interactive screen! By following the prompts on the screen—like tapping or raising your hands above your head—you’ll be able to sign your name, add emojis, and ham it up for a photo booth experience you’ve never had before. While there’s nothing wrong with the classic photo booth, there are lots of reasons to upgrade to a mirror booth at your next event. Everyone loves a photo booth. But sometimes, you don’t want to spoil the look of your themed event with a giant booth. Luckily, with a mirror photo booth, you don’t have to. With a traditional appearance that seamlessly blends with any decor, our mirror booth will look right at home at any event, from weddings and fundrasiers to quinces and bar mitzvahs. But a mirror photo booth adds an extra layer of whimsy that no guest will be able to resist. Notice how the bride and groom were able to virtually “sign” their print and add an emoji?? With a touch screen (always fun! ), graphic and voice prompts, plus the ability to add a signature or emoji to your photo print, you’ll be thankful you have unlimited visits. With the same compact footprint as our Open Air booth, the mirror photo booth is the perfect choice for navigating tight doorways, staircases, or venues without much extra room. Upgrade to one of our freestanding backdrops or use the great view from your venue to set the scene for your selfies! We love having a physical print to look at every day, but it’s 2019, so we understand that your social media feed might want to get in on the action. In addition to a physical print, guests can also get a link to receive their digital images for social media sharing. No matter what booth you choose, you’ll never have to sacrifice on quality with Photobooth Rocks. Instant prints – Your photos print out in less than 10 seconds! Access to digital photos – Something to frame, something to share…it’s the best of both worlds. Video messaging – Guests can leave a short video recording with their best wishes for the newlyweds, graduating senior, or b’nei mitzvah to view after the event. Props included – All photo booth props are always included at no extra cost. Whatever your theme or occasion, we’ve got the props to match! Attendant included – Our professional attendants not only make your photo booth extra fancy, they’ll also organize the prop table and assist guests with any issues. Personalized photos – Choose a photo layout and add a logo for a custom spin on your event! Don’t have one? Use one of ours. 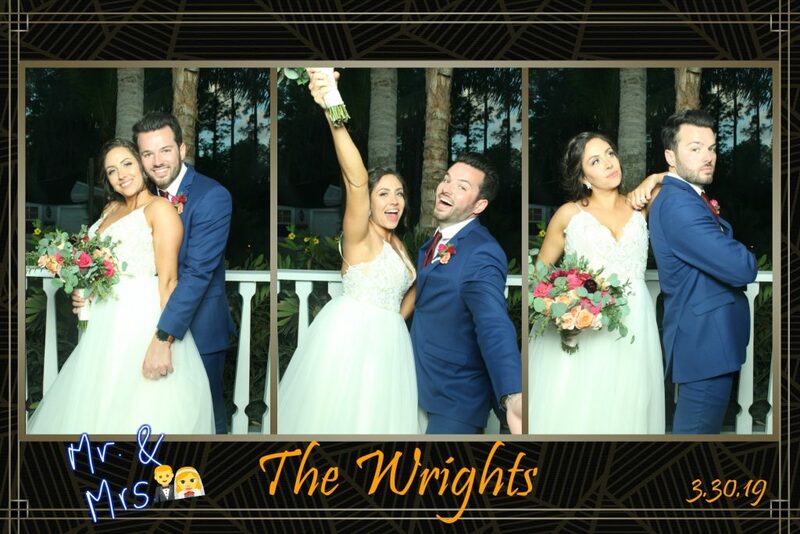 Unlimited visits for each guest – We never charge your guests to visit the photo booth and we will never limit their visits. If you’re looking for a photo booth that’ll both blend in (to your venue) and stand out (among the other photo booths on the market), you’ve come to the right place. The mirror photo booth is the perfect combination of old school and new school that you’re looking for in a photo booth rental. Fun, interactive prompts in a user-friendly digital interface mean that all of your guests, young and old, won’t be able to stay away. Call Photobooth Rocks today to reserve your mirror booth.